Blue Echo Radio is UNC Asheville’s student-run online radio. Tune in for some great student DJs playing catchy tunes, sweet giveaways, live artists, interviews, and more. Like us, or click below for a sample. Email us at blueecho@unca.edu if you’re interested in getting involved at the beginning of the semester. The sooner we hear from you, the better we’ll be! Follow us on Facebook to see what we’re up to. Students interested in becoming a DJ or staff member for the Blue Echo can apply when positions open up, usually at the beginning of every semester. These positions are completely voluntarily based. If you are an organization or musician interested in collaborating or playing on the station, feel free to get in contact with us! 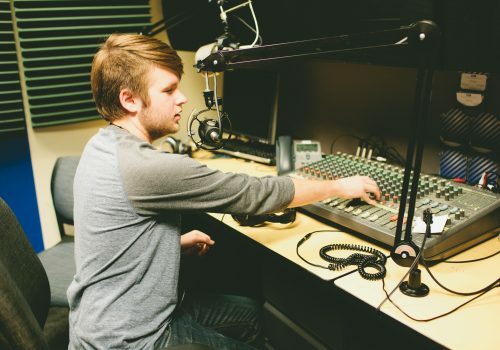 As a student-run organization, The Blue Echo produces professional quality, diversified radio programming for UNC Asheville through operating within the established mission of the university, continuous growth and training, cooperation with Highsmith Student Union and relationships with other student organizations.